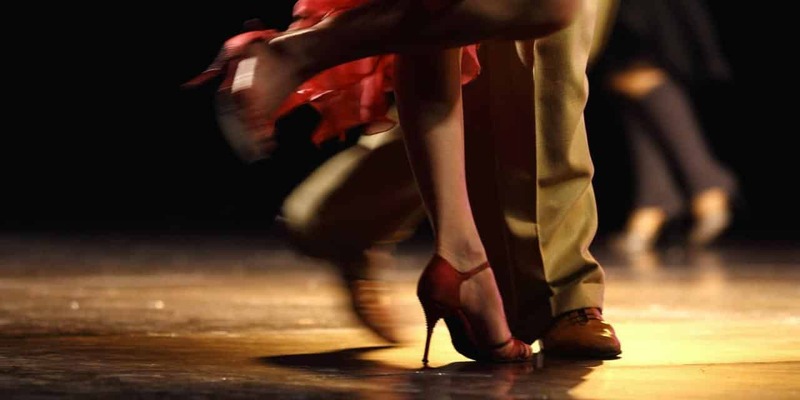 The centrepiece of this grand building is its ballroom which is ideal for our weekend of tango. 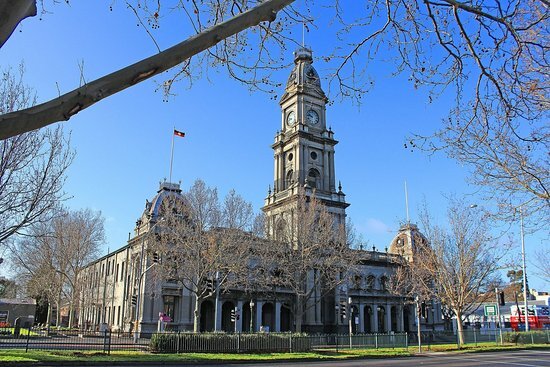 First opened in 1887, the Collingwood Town Hall boasts impressive 19th century gold rush style classical design. The foyer entry and interior of the ballroom were refurbished in Art Deco style in 1938. In 2014, the Collingwood Town Hall had an extensive renovation to bring it into line with today’s requirements but not sacrificing its style. There is a car park attached to Collingwood Library/Train Station with approx 35 spaces with 4 hour parking before 5:30pm Monday-Friday. Unrestricted after 5:30pm & weekends. There is street parking along Hoddle St (approx 25 spaces), Stanton St (approx 30 spaces) and Park St (approx 15 spaces.) Most of these spaces are 4 hours before 5:30pm and unrestricted after 5:30pm and weekends but please abide by individual parking signs. There is also parking across the road from the Hall on the other side of Hoddle St & Hood St. There is a large car park at the end of Eddy Court that can be used by functions on Saturday and Sunday only. Parking in this area during Monday-Friday without a council sticker may result in a fine. This is a gravel car park with approx 35-40 spaces. Be careful if parking in Eddy Court- we share this area with Victoria Police and the Senior CitizensCentre so obey the signs in this area. There are limited disabled parking spaces in this area. 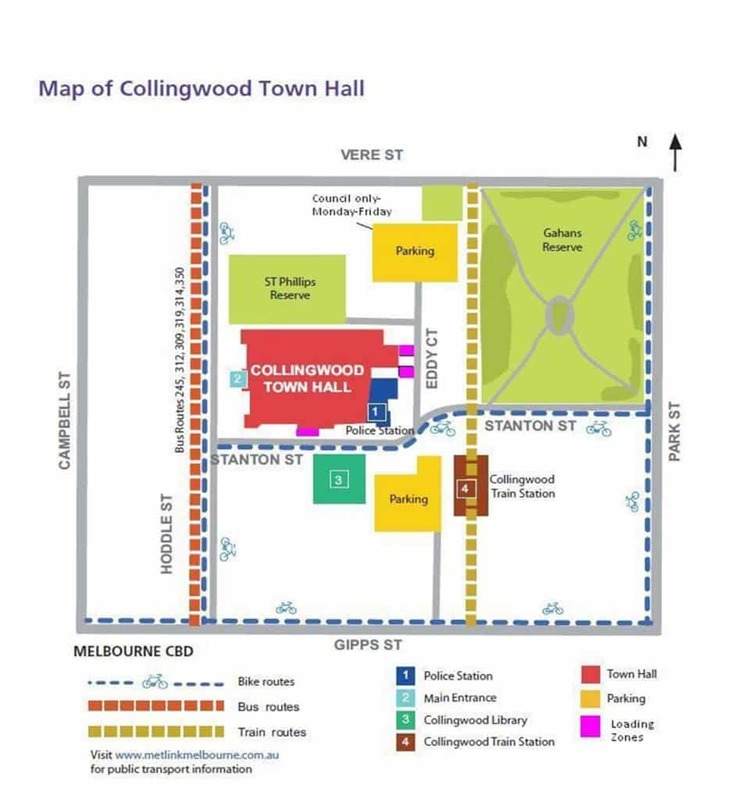 Collingwood Town Hall is serviced by the Epping/Hurstbridge line. Not all trains stop here so check before you board. Several bus lines run along Hoddle St including: 313 & 315 from Collins St, 302-3 from Queen St and the Nightrider bus 961 from Swanston St.